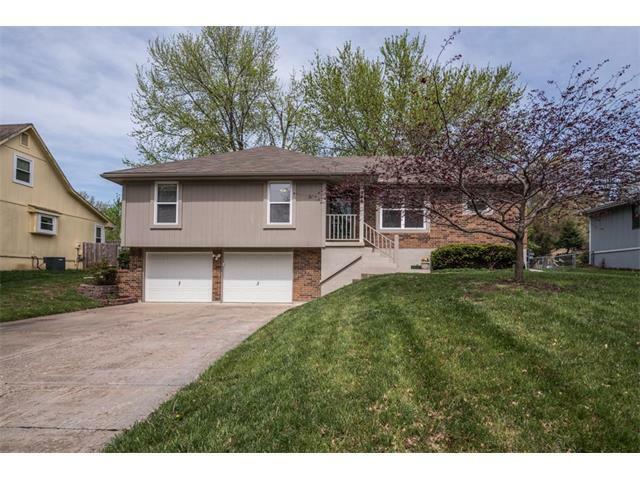 Great Blue Springs home in a very nice quiet neighborhood!! Soaring ceilings in the Great room with Brick Wood burning Fireplace, Hardwood floors in Kitchen & Entry, Formal Dining room plus Eat-in kitchen. Lower level is perfect for entertaining with Finished Family room, Wood burning Stove, Half bath and Additional Storage room. Large Fenced Yard with Lovely Shaded Deck A Perfect Backyard to Entertain Family or Friends! Updated Vinyl Double pane Windows, Furnace & Air, Roof & Gutters, Newer Carpet & Tiled Baths.